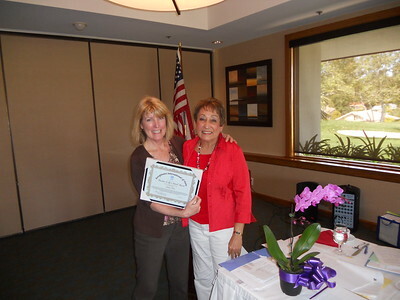 Jackie Piro with President Cherie, displaing her "Ratchet It Up a Notch" Award. 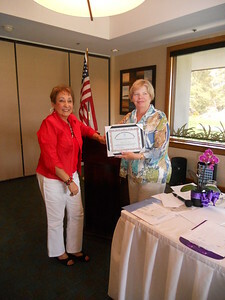 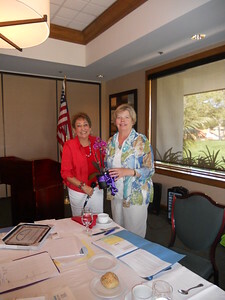 2012 Soroptimist of the Year, Kaye Van Nevel (right) with SIVista President Cherie Wilson. 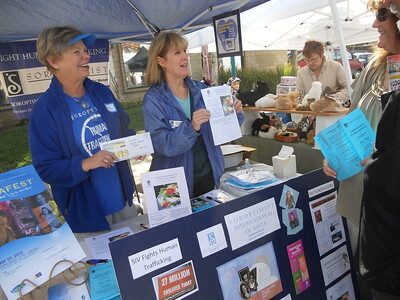 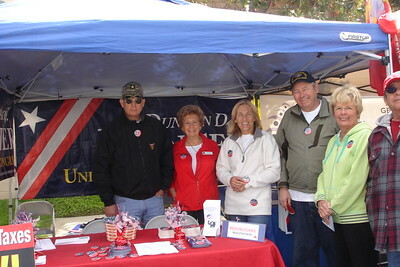 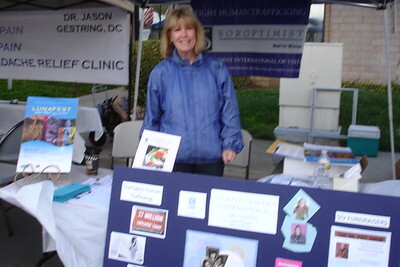 Our neighboring booths included Duncan Hunter's group who helped us set up our tent. 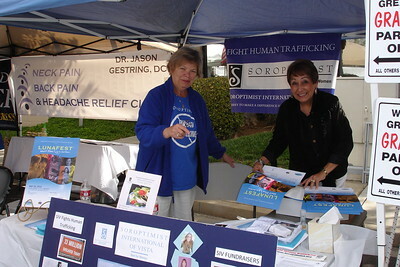 Kaye and Cherie at our booth. 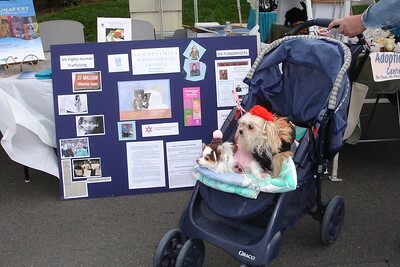 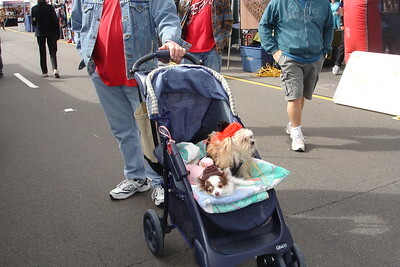 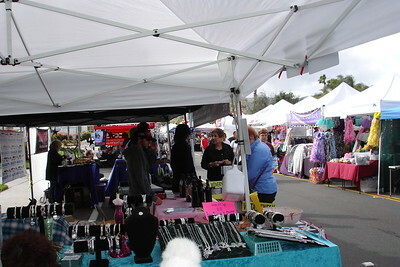 Jackie Piro at San Marcos Street Fair on April 1, 2012. 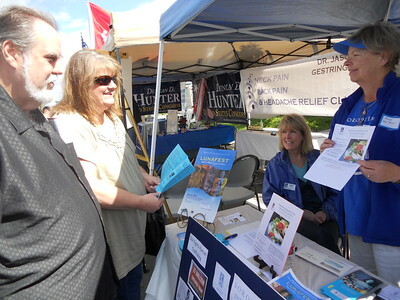 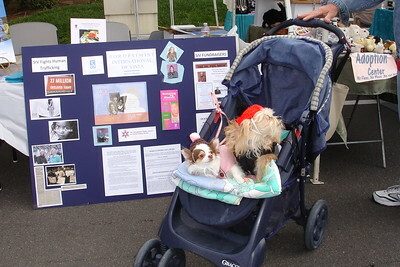 On hand to help were Kaye Van Nevel, Cherie Wilson, Arthur Williamson and Elizabeth Freed.